How Does aquaTIGHT® Grout Additive Work? When it comes to choosing the right grout sealer for your next project, there are numerous variables to consider. From the quality of the sealer to the amount of dry time it will add to your project, our goal at H2O Barrier Technologies is to provide the perfect sealer for grout. We carefully considered each one of these variables when we engineered our unique line of products. Beyond the basics, it is also important to consider the VOC content in a grout sealer before you use it. Before you can really place any value upon choosing a low VOC content grout sealer, you need to first understand why VOC content matters. Read on to learn more about VOC content and how this will affect your next home improvement project. Odds are good if you have done any home improvement project, you have heard of or read about VOC content on labels. VOC is an acronym standing for Volatile Organic Compounds. Although we associate the term “organic” with pleasant things, it is important to note the more foreboding term “volatile” preceding this seemingly natural compound. So what causes this organic compound to be termed volatile? Simply put, VOCs are compounds emitted as gases from different types of liquids (and in some cases even solids). These gases are comprised of an array of chemicals. 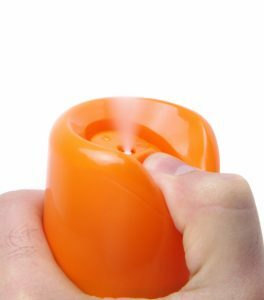 Unfortunately, many of these chemicals being released into the air are extremely harmful and can cause both adverse short-term and long-term health effects. As you can see, VOCs are found in a huge array of both liquids and solids. This leads us to the next consideration. What effect do VOCs actually have upon the quality of the air you are breathing? Beyond symptoms, what effect does exposure have upon your health? You can cause damage to your liver, kidneys, and even your central nervous system through exposure. Not only can VOCs damage your health, they can also cause cancer in your pets. How high the levels are in your home will depend upon how many products and items in your home are emitting VOCs. This is where low VOC content comes into play. 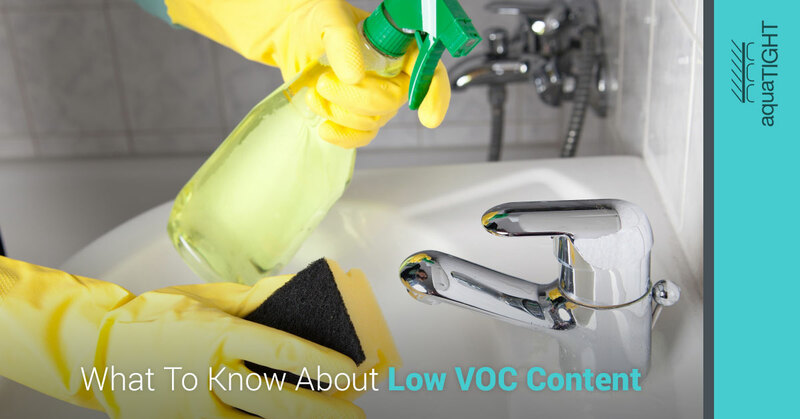 Finding products with low VOC levels is particularly important during home improvement projects when you might be using numerous products producing VOCs. At H2O Barrier Technologies, we are committed to providing safe, environmentally friendly products. That is why when you shop our grout sealers online, you will find our products adhere to Low VOC content regulations. All our aquaTIGHT™ products have a neutral pH (7) solution that is also non-flammable. 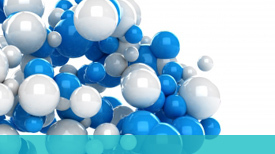 The components of our products are chemically stable. Not only are we committed to a low VOC, our products are also low odor, which makes application much safer for your health. Remember, all aquaTIGHT™ products are carefully crafted to be safe for the environment, and this includes our commitment to low VOC content levels. Next time you are on the lookout for grout sealers, be sure to check the labeling and opt for a safe product like ours. 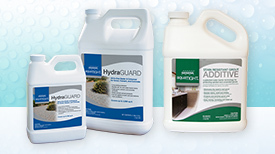 Check out our array of grout sealers and additives here. You do not have to sacrifice the effectiveness of a product for your health and safety.